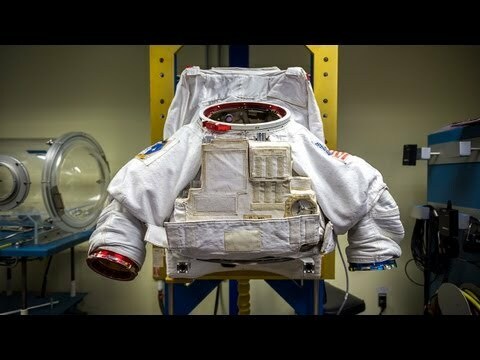 NASA developing spacesuit with built-in toilet for emergencies. People still make jokes about the “Russian Space Pen,” but there’s one thing no one jokes about in the space program: going to the bathroom. In a zero-gravity environment, human waste becomes a sanitation and engineering nightmare. This is why the spacesuits NASA is creating for the Orion spacecraft will hearken back to the Apollo suits of the 1970s – they’ll have built-in toilets. Of course, the Orion craft will also have a space toilet (which is a marvel of engineering in itself) but these spacesuits are the next-best thing when you’re strapped into a chair with a full bladder, re-entering Earth’s atmosphere at 17,500 miles per hour. Sometimes you just gotta go.